Posted March 7, 2015 by Paul Whitham & filed under Imagine Greener. As part of 3cohosting’s continued green ethos we are proud to support the ClimateCare eco programmes. 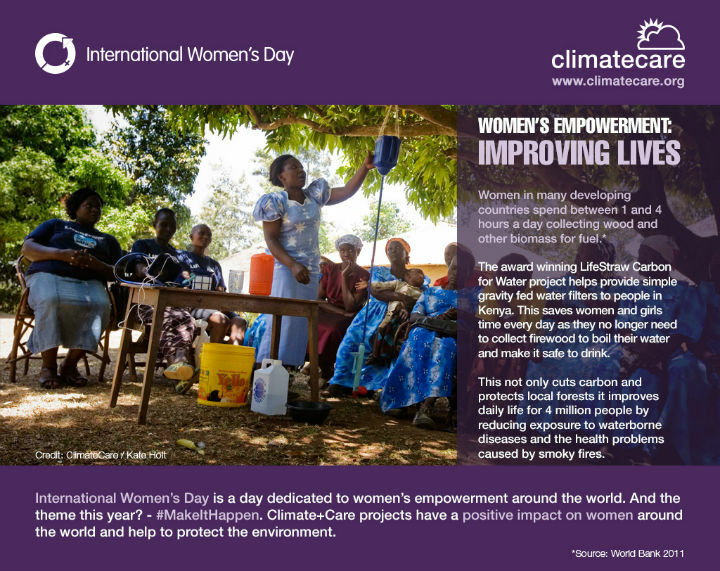 As International Women’s Day is this Sunday 8th March, I thought it would be an ideal time to highlight the positive impact supporting the ClimateCare projects has on women all over the world. Not only do the programmes help to reduce carbon usage, they also help provide safe drinking water in Kenya as well as empowering women farmers in India. The great thing is that these projects not only tackle climate change but also actively help to improve peoples lives.